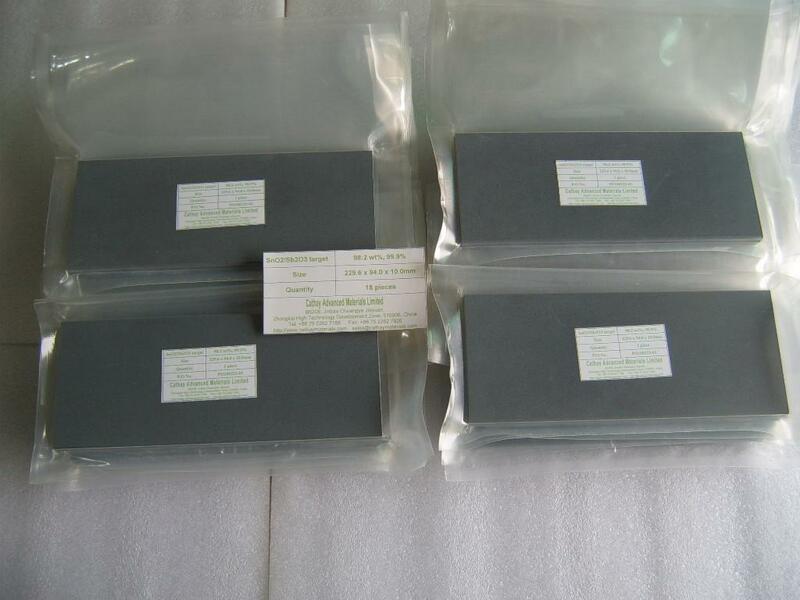 Specifications︰ Transparent and conductive oxide (TCO) thin films which have wide low resistance and high transmittance in the visible wavelength range have been widely used as various applications. SnO2 has been known to be excellent material for these applications, SnO2 is a n-type semiconductors and has some oxygen vacancies. Other elements will be doped in order to improve electrical property. RF magnetron sputtering using Sb2O3 and CuO co-doped SnO2 ceramic targets show the addition of Sb2O3 can improve the electrical properties of SnO2 bulks. To obtain targets with highly dense and good electrical property, Sb2O3 and CuO are co-doped.